Mitsubishi Heavy Industries (MHI), a Japanese multinational engineering, electrical equipment, and electronics company whose products include aerospace components, aircraft, automotive components, hydraulic equipment, machine tools, missiles, power generation equipment, ships, and space launch vehicles. 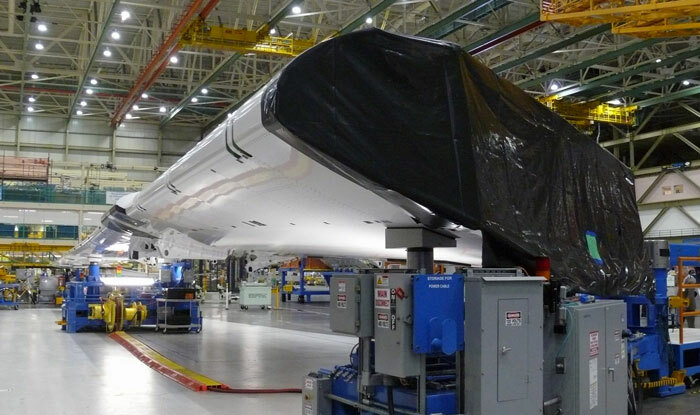 MHI has selected Stottler Henke’s Aurora to accelerate its production of composite wings for the Boeing 787 Dreamliner. Production occurs at the aircraft shop at the Yamatomachi plant of its Shimonoseki Shipyard & Machinery Works in Yamaguchi Prefecture, Japan. Production machinery includes an autoclave for curing and shape-forming the layered composite prepregs under high temperature and high pressure, and cutting machines for machining of components. MHI transports the stringers manufactured at the Yamatomachi plant to the Oye plant at MHI’s Nagoya Aerospace Systems Works in Aichi Prefecture, where workers integrate them into the wing boxes for shipment to Boeing. MHI has produced composite wing boxes for the 787 Dreamliner since program launch, and delivery of the first unit took place in May 2007. MHI understands that other project management software uses simple rules to select and schedule activities and assign resources to carry them out. Almost always, the resulting schedules are far from optimal. Aurora outperforms other software by combining graph analysis techniques with heuristic scheduling techniques to quickly produce an efficient schedule. Aurora solves complex problems more effectively by encoding and applying sophisticated scheduling knowledge, and decision-making rules and heuristics, while taking into account complex constraints and resource requirements. Aurora encodes attributes of individual tasks, groups of tasks, resources, resource sets, and constraints. Aurora’s built-in and user-supplied decision rules produce better schedules, allowing companies such as MHI and Boeing to dream bolder dreams.